Such was the success of the band’s previous album ‘Awake’, Skillet’s eighth studio album comes four years after it. The album was one of only three albums in the States to go platinum during 2012 and relentless touring meant that the band had little time to write and record new music. Despite ‘Comatose’ being the band’s breakthrough album and providing us with the band’s high point to date, it is the slightly more sanitized and homogenous ‘Awake’ that has really elevated the band in popularity. Now with ‘Rise’ the band have looked at progressing further, embracing the much maligned seventies rock concept album. The story is loosely based on a teenager in their formative years and the struggle to deal with the demands of the world. Lead singer John Cooper was persuaded by producer Howard Benson – after he’d read a Pete Townshend book explaining the stories behind ‘Quadrophenia’ and ‘Tommy’– that rather belatedly ‘Rise’ should be a concept album. The album perhaps suffers from the fact that the concept aspect of the album was bolted on midway through the process and not conceived from day one when writing began. That said, this remains an album of some note despite the many forays into pompous orchestral and choral material that serve as intros or outros to many of the songs. Whilst there’s still a vapour trail of ‘Awake’, ‘Rise’ nevertheless has its own identity and offers far less filler than its predecessor. ‘Sick Of It’ strikes a crushing blow with its marching riff-courtesy of new guitarist Seth Morrison and Cooper’s full throttle vocals, whilst ‘Circus For A Psycho’ gallops along like a deranged maniac. 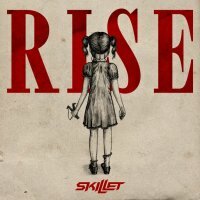 Pop sensibilities are adequately represented by ‘Good To Be Alive’ where Skillet show a fond appreciation of Queen’s ‘Under Pressure’, the patriotic ‘American Noise’ and the slow burning ‘Fire and Fury’ where Jen Ledger suggests that she’s more than capable of performing the lead vocal role on any future material. Indeed the trade-off between Cooper’s rasping lead and Ledger’s youthful female touch is one of the reasons to listen to Skillet; ‘Salvation’, ‘What I Believe’– two Skillet staples – both benefit greatly from the synergy. Filler material is more or less absent from ‘Rise’, save for the laborious ‘My Religion’ or perhaps the “one ballad too many” ‘Hard To Find’, yet ‘Rise’ has more than enough going for it to suggest that this is the band’s best album since the 2006 classic ‘Comatose’. 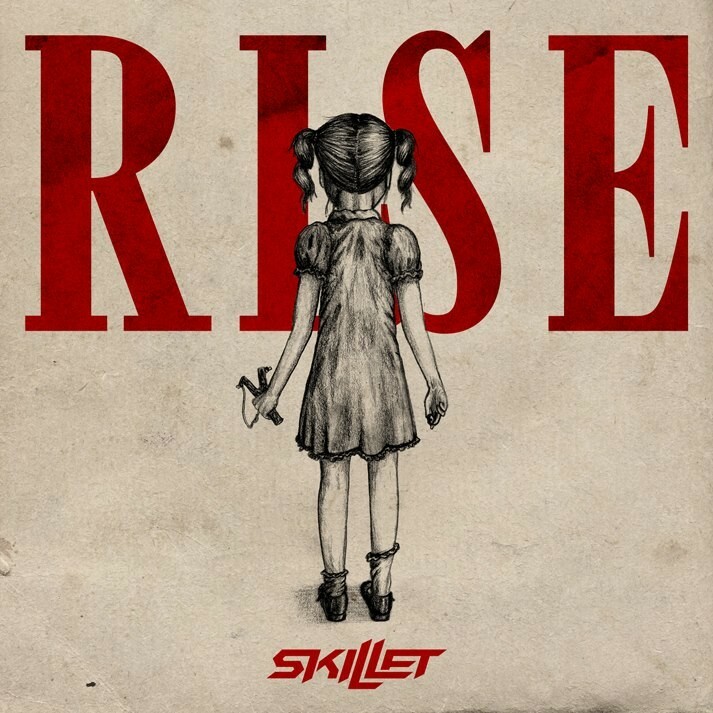 Sure, there’ll be those who long for the early days of the band or those who’d like to turn up the aggression to the maximum, but Skillet has found a niche with their brand of mainstream rock, a niche that has resulted in the band’s success and increased popularity. With ‘Rise’ they stick to the formula, it works, so don’t expect it to change anytime soon.